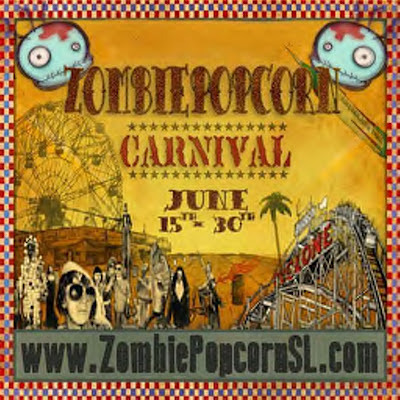 I would like to invite you to the ZombiePopcorn Carnival featuring over 50 of some of the most renown designers, builders, and creators in all of SL! You will definitely want to see all the exclusive items in the shops, the carnival rides, and visit our beautiful beach pier. For more information stop over to ZombiePopcorn and tap the Group Joiner or visit us at www.ZombiePopcornSL.com. See you at the Carnival on June 15th!